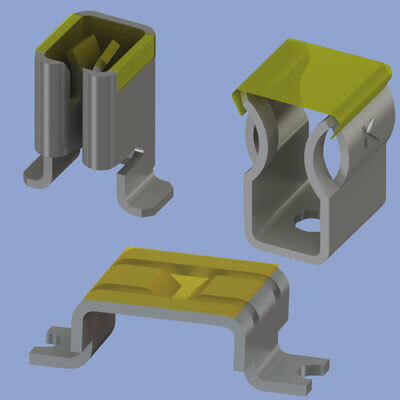 A new option for surface mountfuse clips includes the addition of Kapton tape across the top surface which our SMT fuse clips allows for a more secure part picked-up by vacuum pick-and-place assembly systems. Kapton tape is currently being offered on Keystone's 2AG, 5mm, mini auto blades and standard auto blade SMT Fuse Clips. All of these Kapton enhanced products are supplied on tape and reel per ANSI/EIA-481 standard, with delivery from stock through Keystone's global distribution network. Samples may be obtained by contacting the nearest Keystone distributor or directly from Keystone.